Hello! My name is Mustang Sally and I am a 9 month old Chiweenie. 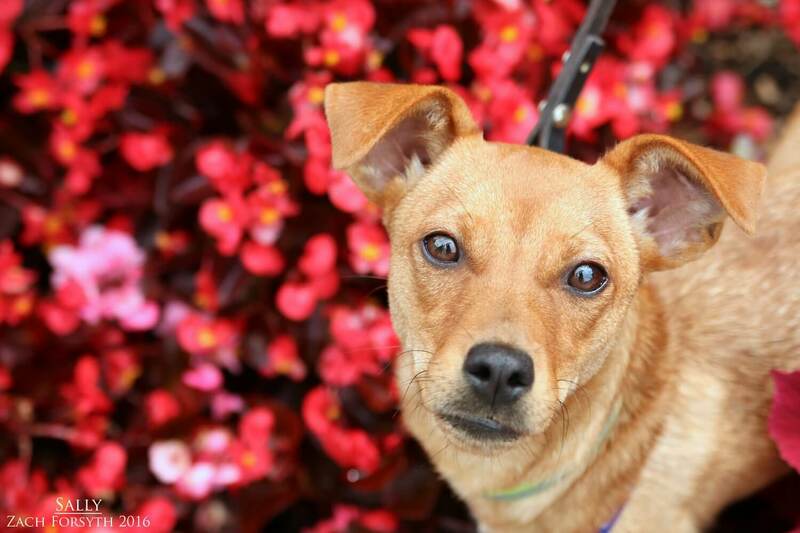 I am super sweet and affectionate girl with a bouncy, upbeat personality! Being from the South, the city is all new to me and I am still learning all the sites and sounds. I enjoy going for walks, but the traffic is still pretty scary, so I would prefer a quiet low-key neighborhood. When I am not demanding attention from my human friends, I enjoy wrestling with my small dog playgroup here at Pixie! I adore playing with toys as well! Since I am still a puppy, I need to practice some basic manners and I am looking for someone who has the time to teach me a few things! I am very smart and food motivated which helps me learn quickly. PUPPY CLASSES ARE MANDATORY FOR MY ADOPTION! Since I am a bit bouncy, I would do best in a home with kids 10+. Cats and other pups are ok too! So fill out an application and jump in your mustang today to ride on over to meet me! I come to you spayed, vaccinated, and micro-chipped with an adoption fee of $250.